Keeping your employees happy — or keeping them at all— can be a difficult hurdle for many startups and tech companies. In an industry with an unprecedented turnover rate, three LA companies (that are hiring right now) shared their retention strategies as they look to expand their teams. 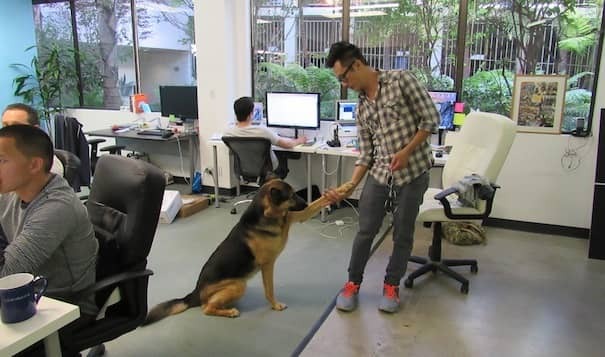 Founded in 2012, Retention Science has 39 employees in their Santa Monica office. They specialize in targeting, engaging, and retaining existing customers. Using machine learning algorithms, they predict customer behavior and automate retention campaigns. “The biggest trend I’ve noticed is a lot of these tech companies and startups don’t care about the actual person doing the job as much as getting the job done. They just find someone with a skill set to fix the problem. “We have a happiness engineer. That is literally Keely’s title. And the main guts of her job is to get the overall zeitgeist of the office and make sure, on a daily basis, people are generally happy. Something cool we have over here is a physical set of buttons right by the front door of office. A red one and a green one. 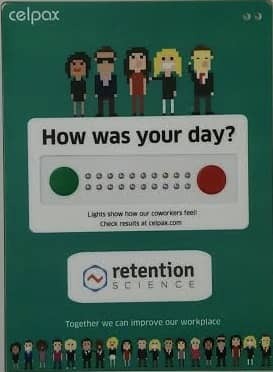 And the purpose is that, at the end of the day, you hit the green button if you’ve had a good day or the red button if you’ve had a bad day. “Being in LA, we’re always going to be a little more (and I hate to use this word) ‘laid back’ in comparison to the east coast. Its so important to know the feel of your employees here in LA. The whole idea of finding the right ‘fit’ is something Los Angeles really take to heart. Read about the other two companies’ employee retention strategies (that seem pretty cool too) over at BuiltInLA. How is your turnover rate? 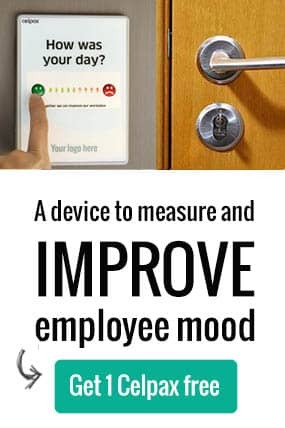 Looking for a way to measure as you continuously improve your workplace? Copy Retention Science and try our Celpax device totally for FREE! Companies measures customer satisfaction frequently. How are their employees?